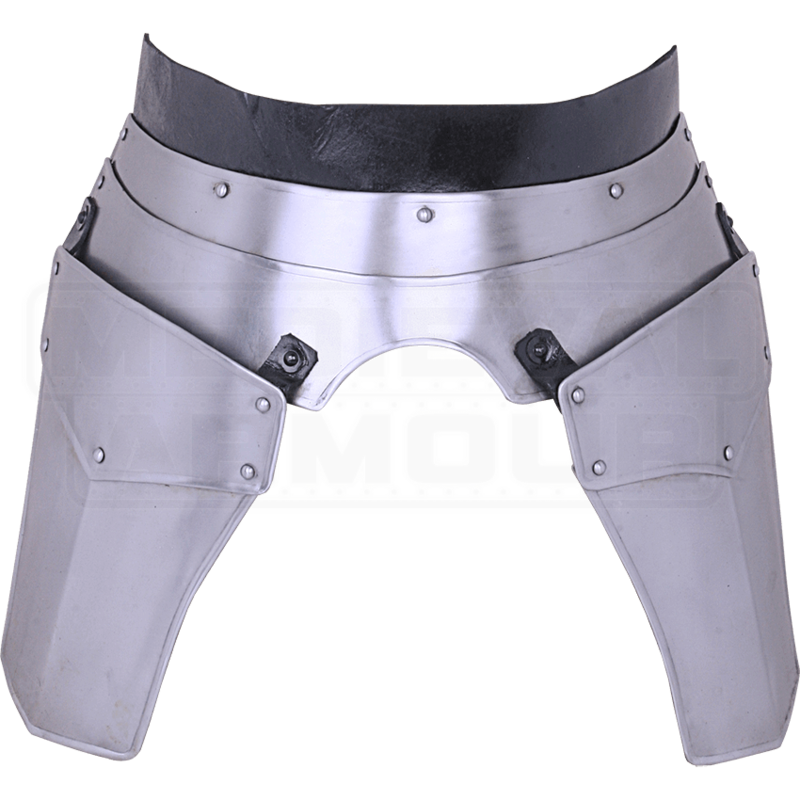 The perfect medieval plate armour for protecting your thighs and lower abdomen, the Steel Markward Tassets possess a practical yet sleek-looking design with their sturdy construction, bright metal finish, and riveted detailing. The two thigh plates hang from the waist piece, which fastens in the back with a pair of buckles. 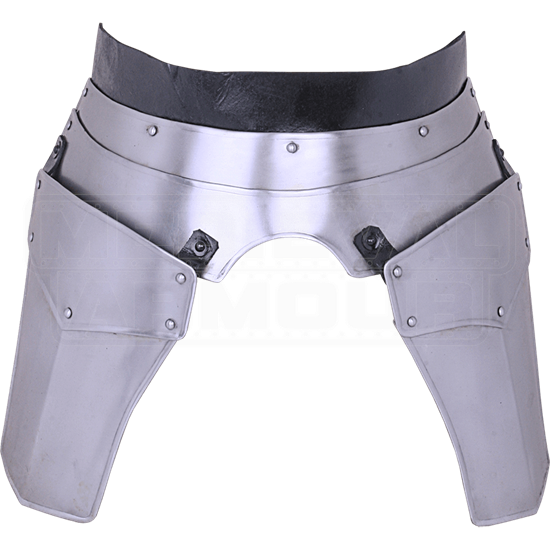 The thigh armour has been designed to go with the Steel Markward Cuirass (MY100044), though they will combine well with other LARP armour, as well. We recommend wearing padded arming wear underneath the steel tassets for increased comfort. When planning for your next LARP battle or re-enactment, make sure to consider this top notch steel armour!